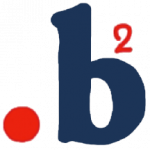 .b, pronounced [dot-be], is the UK’s leading mindfulness curriculum for 11-18 year olds in schools. .b stands for ‘stop and be’, a simple practice at the heart of this ten lesson course. Each .b lesson (between 40 minutes and 1 hour) is expertly crafted for use in the classroom to teach a distinct mindfulness skill. 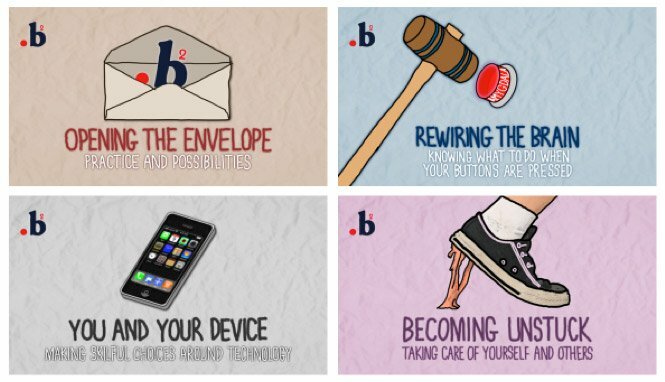 The .b materials are designed to engage even the most sceptical of young minds. 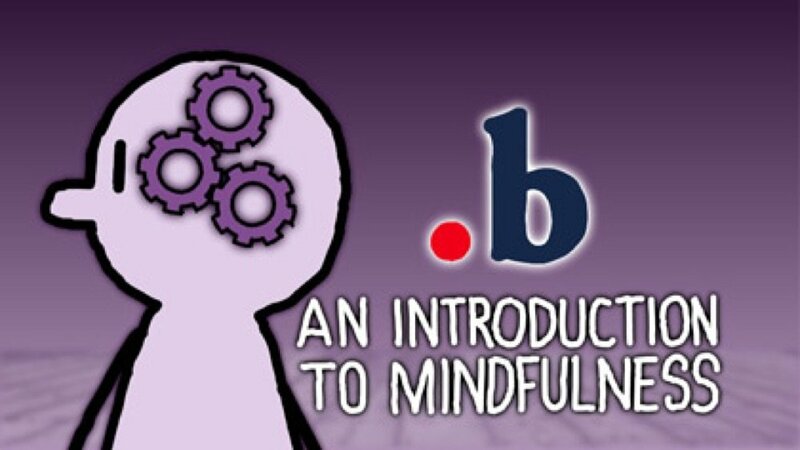 Each .b lesson is expertly crafted for use in the classroom to teach a distinct mindfulness skill. An introductory lesson persuades young people that mindfulness is worth learning about by making it relevant to their lives. 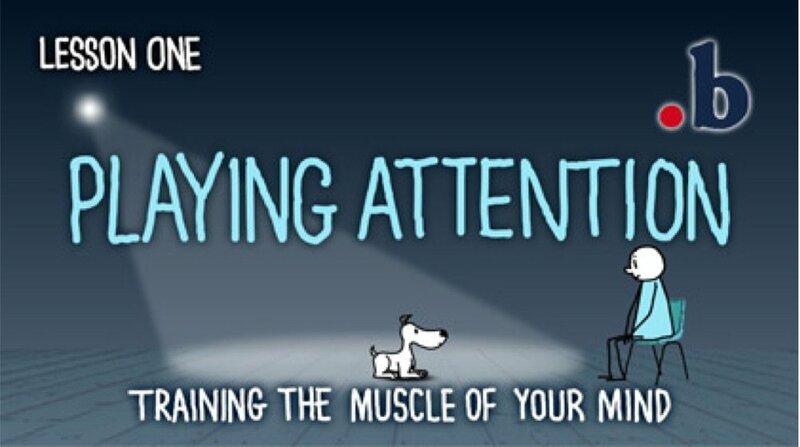 Lesson One – Playing Attention. Introduces students to this thing we call our “attention” which, like a puppy, needs to be trained. 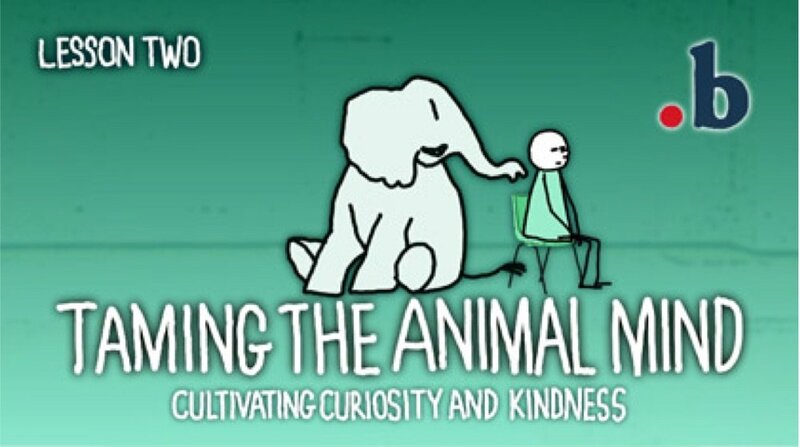 Explores different mind states and teaches that ‘anchoring’ attention in the body, alongside the cultivation of curiosity and kindness, can be calming and nourishing. Explains the tricks our mind plays that lead to stress and anxiety, and gives us techniques to deal with them. 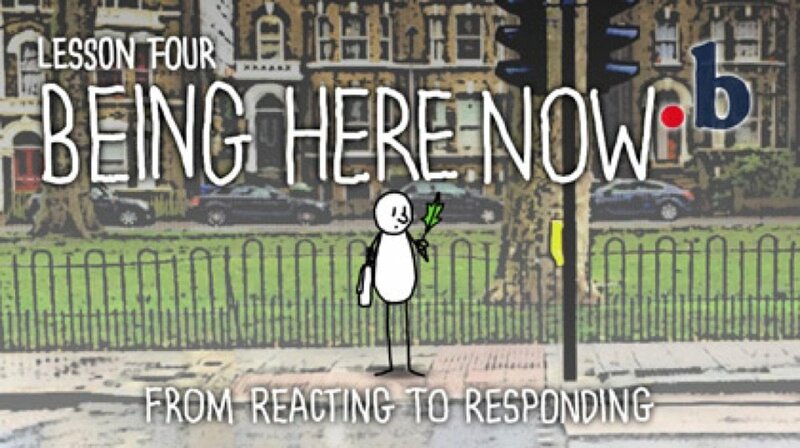 Comes to the heart of mindfulness and teaches us how to respond, rather than react, to whatever happens in our lives. 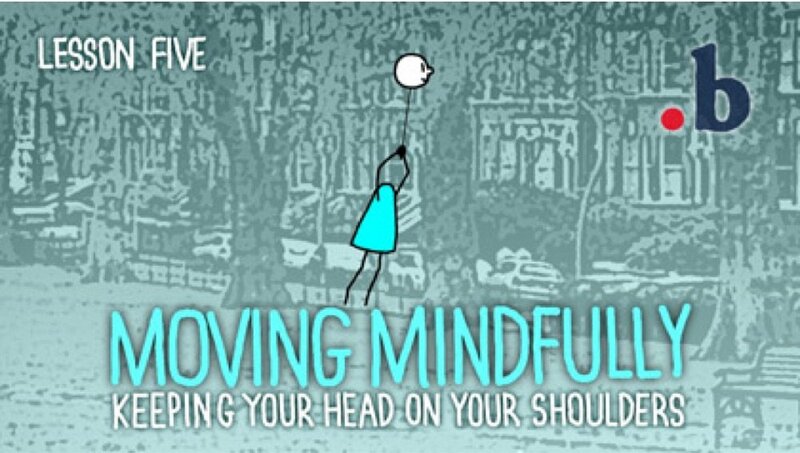 Shows us that mindfulness is not just something we do sitting or lying down. It also looks at high performance in sport. 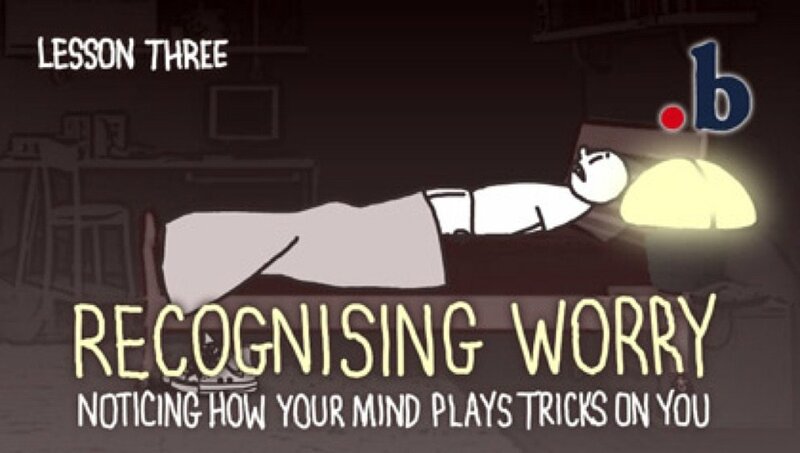 Offers us a new way of relating to our thoughts. We don’t have to let them carry us away to places we’d rather not be. 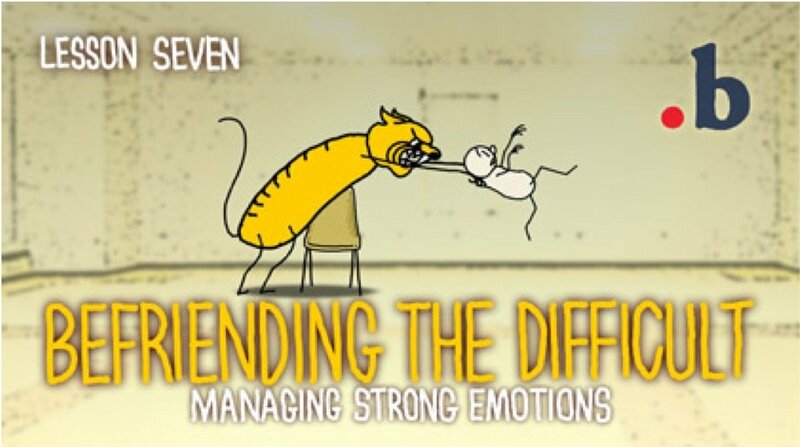 Deals with the greatest challenge of all: dealing with difficult emotions. 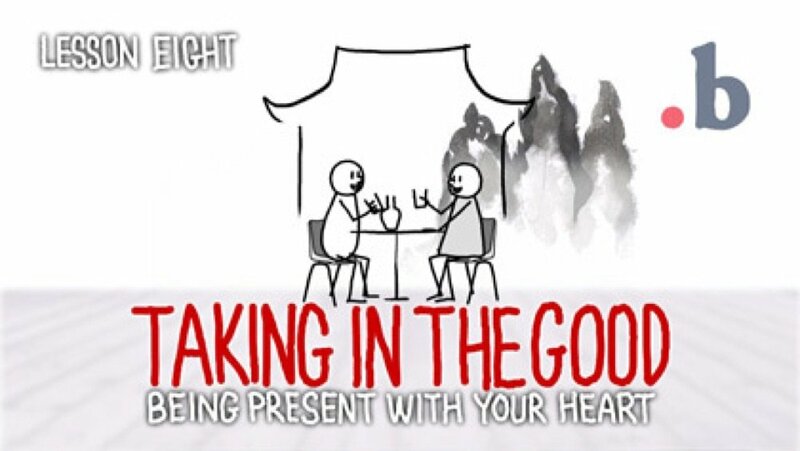 Focuses on gratitude and the ‘heartfulness’ of taking in & savouring what is ‘good’ in life. Consolidates the key techniques from .b and inspires students to use what they have learned in the future. These four lessons form part of a spiralling .b curriculum to which further lessons will be added over time. For example, you may have taught the first 10 .b lessons to a group in Year 7 and now want to revisit the core mindfulness skills as they move into Year 8 or 9. The next 4 lessons pick up where .b left off, taking key themes and practices and developing them further, as well as introducing new ones. They are not designed as a set of stand-alone lessons and should only be taught to those who have already completed most or all of the original .b course. 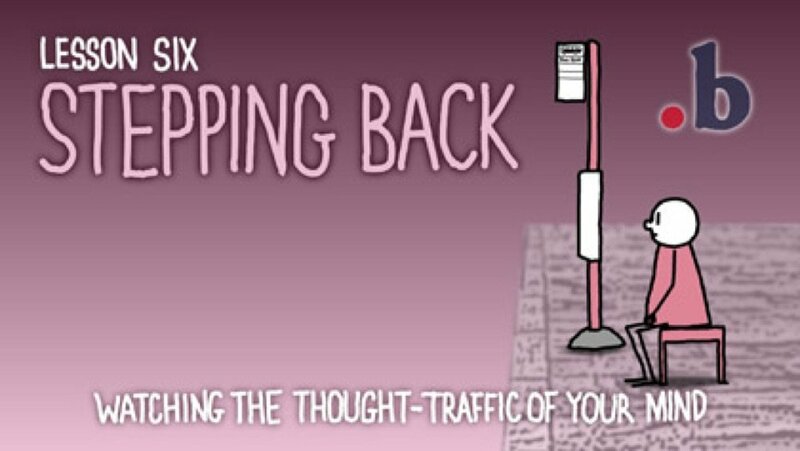 For their ‘home practice’, pupils are invited to watch and ‘do’ guided mindfulness practices created by one of the UK’s leading animators. 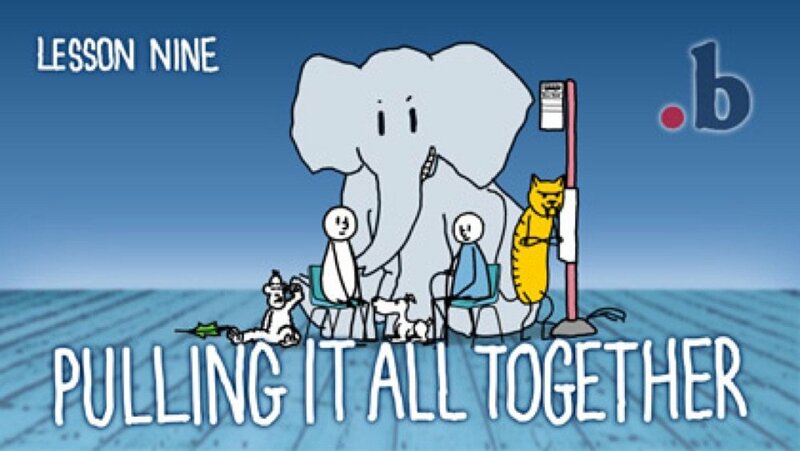 The animations are available at www.dotbe.org. Please complete and send this form to request your free samples of the Paws b or .b curricula. Please select which lesson you would like to sample.